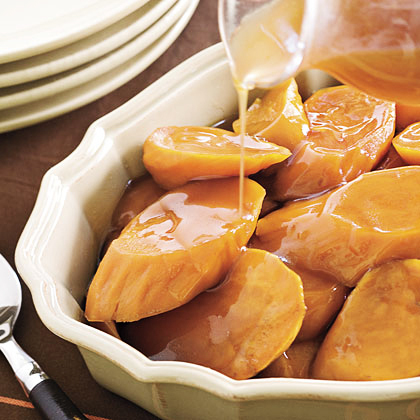 I can't imagine Thanksgiving dinner without yams, especially candied yams! This is my favorite yam recipe and it's definitely on the Thanksgiving menu this year, I just hope they actually make it to the dinner table. Enjoy! Combine brown sugar and pumpkin pie spice in a large bowl; add potatoes and toss well. Spread in a 9x13-inch baking dish. Combine orange juice, vanilla extract and butter; pour evenly over potatoes. Cover and bake 40 minutes. Remove from oven and stir. Bake uncovered an additional 15-20 minutes or until potatoes are fork tender.